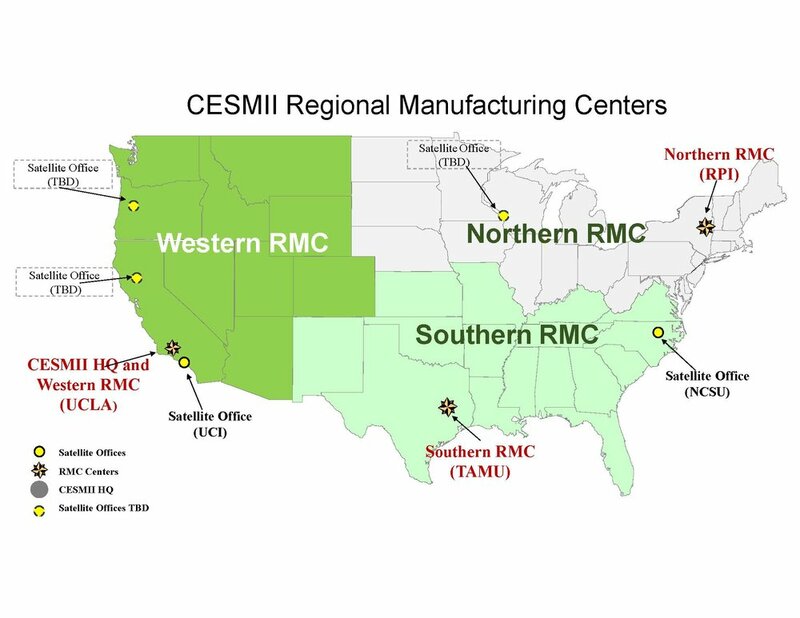 CESMII will leverage a national footprint of diverse industry, workforce organizations known as Regional Manufacturing Centers (RMCs). All RMCs collaborate across the network on development of smart manufacturing technologies, cross-sector application areas, energy sustainability, economic development and workforce development goals to accelerate and enhance nation-wide impact. This cross linking environment extends existing capabilities across the network and provides cross-pollination of ideas and lessons learned by market and region. RMCs provide a wide range of consultation, training and support services at the host and partner facilities in other states.